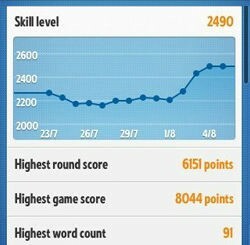 One way to get better at Ruzzle is reading the Ruzzle Tips and Tricks Guide here. When you read the tips you’ll play the game much better, and you’ll beat your friends. This website will help you to improve your gameplay. The hints on this page are much better than all the cheats for the game, because cheating doesn’t make you play the game better. It’s cheating against your opponent. My opinion don’t cheat with this game, play fair. Be careful where the word value blocks are located in the field. Words or letters can be doubled or even tripled. DW: the word you’ve made times two. TW: the word you’ve made times three. DL: literal value times two. TL: literal value times three. Extra tip: Do this trick with 5 or more cards and the points will keep rolling in!! When you’re using the letter and word value boxes your score will increase very fast. 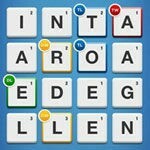 The word value blocks in Ruzzle are identical to the value blocks in Wordfeud. Try to move in a certain order or start at a certain point (for example at the top right) in the field, and work your way through the playfield. It’s a good trick not to miss any words and you won’t get confused. Because of the certain order it’s easy to find more words in the two minutes that are available. Try this trick and you’ll see that it will work. Try to make the words longer , such as: like, likes, liked. When you’re not seeing any words anymore, try to make small words. Most of the time you’ll find many and they’re worth a lot of points when you count all the small words together. Play the game with friends, it makes it much more exciting. Invite your friends through Facebook, Twitter and add them to your friends list. It’s possible to invite your Facebook friends to play a game. 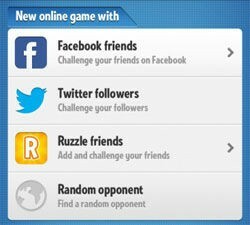 In the recent update of Ruzzle it’s also possible to invite friends from Twitter. Many people who are playing Ruzzle want a rematch. Because of that it’s advisable to add those persons to your friends list. Many words you made on the playing board can often be played in reverse order, for example the word: PART in reverse order TRAP. Take your time when playing this game, make sure you won’t be disturbed by anyone when you’re starting a game. One round takes two minutes and can’t be paused (only when you’re getting a phone call). Just take your time and you will get better quickly. It’s interesting to take a look at your statistics which you can take a look at in the main menu. The statistics are a good way to notice if the tips and tricks for Ruzzle on this website have worked out well for you and your skills. 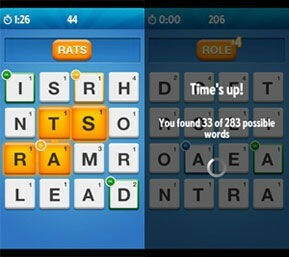 Read more of the Ruzzle Tips and Tricks Guide below here! A good internet connection when you’re playing is useful, sometimes the app doesn’t save the game you’ve just played because of the bad internet connection. You’ve had a bad round, don’t worry. Two more rounds left to increase your score. In the second and third round there are more extra value blocks on the playing board. That way it’s easy to earn more points. When you see a word play it directly, if you want to enter the words later you often forget. Do not panic if you suddenly receive a call when you’re in the middle of the game. The latest update pauses the game automatically, so you can continue playing when you hang up the phone. Now you’ll be the pro you want to be at Ruzzle. Because of this Ruzzle Tips and Tricks Guide you know how to play the game and the tricks you need to own. Also read this tips guide. What is Ruzzle?